Hey all. You guys asked for a strategy discussion for our battle reports and here is our first go at it. Leave a comment and let us know if this is what you were looking for. In this video I go through how I approached the game and explain the different micro tactics that I used to help give myself the edge. If there was anything else in particular that you were interested in knowing just ask in a comment below and I will try my best to answer. We have really appreciated all of the great support you guys have already given to us in our very short start-up so far. We are always improving with your advice, so keep it up. So far we have on the battle report request queue we have: Dark Eldar vs. Grey Knights, Tyranids, and more Grey Knights. Be sure to friend, like, subscribe, and follow our respective social networking sites. Thanks for watching. Hey all, its Son of Adam again with a littletactic for deployment; the second sphere of Game Strategy. In this write up we are going to talk about how faster armies can really take advantage of the refuse flank deployment. Swarm/non elite armies have an advantage and disadvantage in their numbers. They can overwhelm an elite force or outlast it in a battle of attrition. However, its disadvantage is in the deployment sphere. You can only physically fit so many models on any given portion of the table, and so these armies are forced to spread out or play some squads in reserve. Either way, this deployment style has a weakness against the refuse flank deployment. (Something else I must note here is that swarm armies are forced to do this, but many elite armiesdo this as well, from tactical necessity, or poor play. Either way it will open up the opportunity to take advantage of the refuse flank style of deployment). 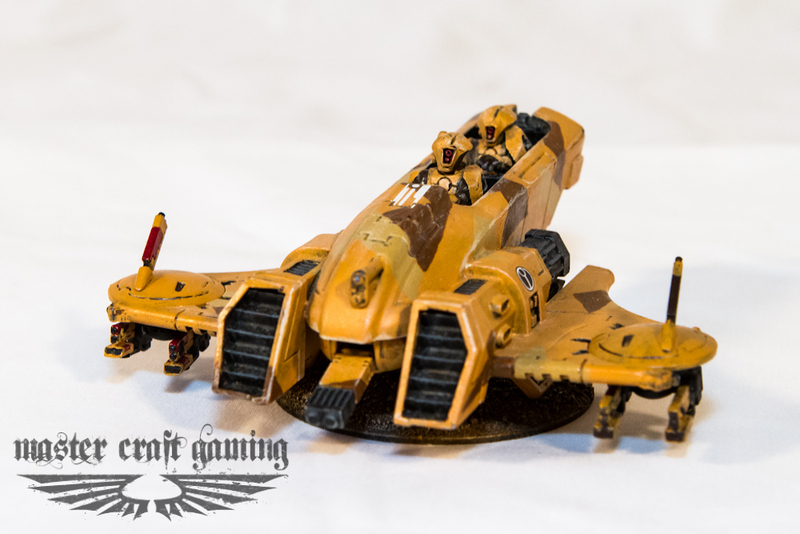 The Tau Piranha is a good example of a unit that can take advantage of the refuse flank tactic. In the refuse flank tactic, you can counter deploy against an enemy that has spread out by focusing all of your forces on one flank of the table. The advantage here, which is best utilized by ranged or fast moving units, is to be able to bring the full force of your army against a smaller portion of your opponent’s army, in order to overwhelm it with less losses. For example let’s imagine that a Vulkan player takes 4 rhinos full o’ tacs and evenly spreads them across his dawn of war deployment zone. You take your speedy Dark Eldar list and counter deploy them all on his right flank. Now when the game starts all he has to do is prepare the two rhinos in range for your force, and hurriedly try to move the other two to that side of the table, forfeiting all of their support until they get there. Then you can bring all of your mobility and firepower to bear in order to overwhelm his two tactical squads just in time to now take the same force against the other two that have essentially just made it to the fight. with your list. If your opponents army is better than yours and makes this mistake (or is forced to), then you can even the odds by making a portion of his army irrelevant for the purposes of the game. Thanks for reading. Leave a comment or write us an email with any feedback. Check out our other stuff and sub/like/follow our sites. Thanks for the support all.